Our friends at Vegas Seven listed some of their favorite people, places, and companies in #VegasTech community in their “Best in Tech” feature. While Tony Hsieh and the Downtown tech scene get most of the media attention, Rob Roy, CEO of Las Vegas’ most successful startup, Switch, is a leader in the data-center industry with SUPERNAP, considered by many to be the most efficient and reliable data center in the world. Founded in 2000, Switch now has eight SUPERNAPs, with two more under construction, and more than 1,000 global clients. Roy also built the InNEVation Center, which features events and co-working spaces for startups, to diversify Nevada’s economy. Because of the low threat of natural disasters, Las Vegas’ landscape is one of the safest in the country for hardware companies. The city is home to industry leaders such as Switch, and newcomers such as Cobalt Data Centers. The VegasTechFund, the seed-stage investment arm of the Downtown Project, even developed a special portion of the fund that goes toward funding hardware startups called Nimbus. Hardware might not be the sexiest tech, but none of your smartphone apps would work without it. While the Valley has a plethora of great co-working spaces, Work in Progress comes out on top because of its amenities and proximity to Downtown. Located just a few blocks from The Beat Coffeehouse, WIP offers a range of workspaces for lean startups, from a desk in the communal lounge ($50 a month) to a private office ($1,000 a month). In addition to networking events and workshops, members can harness that entrepreneurial energy with yoga sessions. 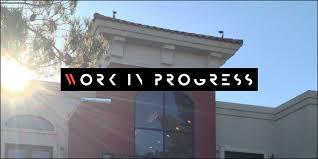 317 S. Sixth St.; 701 E. Bridger St., Fourth Floor, WorkInProgress.lv. Many startups launch in Las Vegas and scale in the Bay Area with help of a large talent pool and Silicon Valley’s deep pockets. Others, such as Ban.jo, are doing the opposite. The startup, which raised more than $23 million and added a Las Vegas office with about 30 local employees, allows users to view social media posts across the largest collection of platforms in real time. In early June, Bally’s acquired the Israeli social-game company DragonPlay for $100 million. The site features traditional casino games, from slots to poker. Now that online gaming is legal in Nevada, there is an opportunity for gaming companies to invest in technology startups that could push them into the future. While new startups are popping up everywhere, there is still a lack of capital beyond seed funding for them to grow and thrive. Imagine if MGM or Bally’s invested hundreds of millions in local companies that could improve online gaming and the hospitality industry.